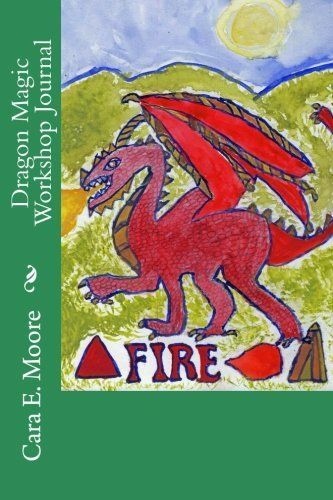 Dragon Magic Workshop working with Elemental Dragons, Earth, Fire, Water and Air and how to work with a Dragon Mentor to become a Dragon Sorcerer. 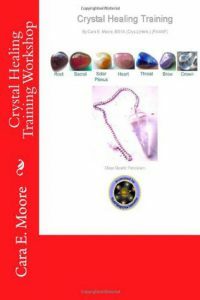 Spells for love, money, protection as well as weather witching with Air Dragons. Illustrations of Dragons by author Cara E. Moore. Dragons are the keepers of Karma and are accomplished magicians and make excellent mentors. To start working with dragons in magical work it is best to set up a dragon shrine to alert them to your intentions. A shrine is as place of honour and can be more cluttered than an altar. It is a place we give the Dragon respect and give thanks for their existence in our lives. Put Basil, Frankincense on your shrine, a candle, amber and carnelian crystals and a picture or figurine of dragon and light a candle each day to honour the Dragons. "I call upon all ye in the Land of Dragon and I welcome the Ancient Wise Ones into my life and my home. I send my love and my respect and ask for the protection of a Dragon Lord Guardian. I am (state name) and I bid the dragons welcome. Blessed Be." Watching films such as Dragonheart or read myths and legends and stories about dragons help to set the background for working with dragons. A dragon hour can be set aside for this practice. Draco Constellation mentioned in Dragonheart Film starring Sean Connery. When you want to start working with Dragons magically, a working space or altar needs to be set up. Turquoise, Red, Orange, Purple, Green, White and Silver or Pastel colors are Dragon colors. Two candles are set up for balance, basil, incense, dragon symbol, a crystal wand for casting the circle and Dragon oracle cards are used in this space. Dragon blood ink (recipe for this is on Page 6 or you can purchase brands such as Anna Riva’s Dragon Blood Ink) and quill pen and paper and red, blue, white, green and black beeswax candles are also useful when casting spells. It is important to cast protection circles when working with dragons as they are powerful magical beings and innocent passer-bys could get accidently burned in the dragon’s enthusiasm. To take the circle down walk counter clockwise three times to disperse the circle. Beeswax Candles: White (can be substituted for other colors) Green for money spells, Red for Love, Fire Drake Spells, Blue for healing spells, Black or White for Protection Spells and monthly House Blessing Ritual. The procedure is simple. Make all your resin a powder and add the ground Arabic Gum. Then add the alcohol just a little bit every time, till all the powder is dissolved completely. This might take some minutes. Filter through a strainer on which you have attached a piece of cloth (a clean piece of cloth of course, but a cloth you will not need again because after that you will dump it). Store the ink in a fancy Red Bottle and inscribe on it the name of your Ink. Keep on your altar ready to be used and trust me it will be used...widely! Tip! Do this procedure in Waxing Moon. Moon phases are used, new moon for new beginnings, waxing moon (moon in the crescent of the letter D) for increase (new moon to full moon) and waning moon for decrease (moon in crescent of the letter C) (full moon to new moon). Dragon's Blood ink is REALLY POWERFUL. Use it with caution! Use it only in Benevolent Spells! Dragon Altar: Crystal wand for casting circles, two candles for balance, incense, dragon symbol, Basil plant, Dragon Oracle cards are used in this space for divination. When creating a circle to work in ask the Dragons to share their wisdom and work with you in your magical workings. As you get to know them, a dragon will come forward to work with you as a mentor. Dragons are great protectors and use their strength and wisdom to guard magical beings and places. Place the Dragon Eye symbol on important buildings such as your home and place of work, magical books and mobiles. And to protect my garden from all harm, both seen and unseen. Sending back all negativity from whence it came. Protect my home, my dragon friend. Repeat this charm every month on the full moon to reinforce its power. After working with Dragons in your circle, doing the visualization meditations and maintaining your Dragon shrine, ask one of the Dragons you are working with to become your mentor. Above your head and look up and repeat call three times. Now tell the Dragons what you wish to learn from them. The Dragon who comes forward will be your Mentor. After working with this mentor for a time, you can become a "dedicant dragon sorcerer" learning from your Dragon mentor. Then you become an Initiation ceremony when the time is right and wear a dragon symbol to celebrate this event. Example of a Dragon Pendant. Dragon and Phoenix symbol symbolizes the balance in Yin (Phoenix) and Yang (Dragon). I ( Name) do learn from their wisdom and beauty. I (Name) do love with the loyalty of the dragon. I (Name do serve with the courage of the dragon. I (Name) do fly with the freedom of the dragon. I (Name) do dedicate myself to the Realm of the Dragon. I (Name) am now a dedicant dragon sorcerer and I do welcome all ye in the Dragon Lands. I charge you, dedicant dragon sorcerer, to go forth in life with the strength, courage, love, wisdom and valour of the dragons. Know that we are forever by your side, ready to aid you in your tasks. I, your Dragon Lord Guardian, do welcome you to the Realm of the Dragons. worthwhile to keep a dream journal to further understand what messages are being sent. My Dragon mentor came in a dream, an Earth Dragon with sherry colored eyes. As a wood dragon in Chinese Horoscope this seemed to make sense. I have always been interested in Gardening and Nature. Before working spells with Dragons or in general it is useful to make sure you have all the supplies you need before you start any ritual. I have enclosed three worksheets, a dream journal page, two sheet worksheet for spells and one for candles to keep organized. In the next sections we discuss the different type of Elemental Dragons, Earth, Fire, Water and Air and the types of magical workings done with each of these Dragons. Be sure to use the worksheet provided to help improve your magic. Mantic Arts Workshops Facebook Group. Fridays have a Dragon Magic Theme.